Cleardata delivers document scanning and archiving solutions for the HR, Personnel, Occupational Health, Training and Pensions Industry. The company is accredited to ISO27001 for Information Security and scans HR Records for many blue chip clients and organisations in the public sector. The company has an 11,000 sq foot premises offering scanning and storage for HR Documentation, with a full library archive and scan on demand service, providing fast digital retrieval for Personnel Documents. Cleardata has also recently built a fantastic new 18,000 sq foot archive premises. Cleardata offers a professional scanning bureu, one of the largest in the UK, capturing more than 2 million images per month. The company uses Kodak equipment, with automatic colour detection, specialist paper handling, and ultrasonic multi-feed detection sensors. All images can be scanned to BIP0008, the British Standard for Legal Admissability and Evidential Weight of Information Stored Electronically. The storage area has enhanced fire detection systems, is temperature controlled and fitted with a VESDA (Very Early Smoke Detection Alert) System. This system uses tubes above the racking which continually tests the air quality, for carbon monoxide. If anything is detected it sets of the alarm for the site. The building is controlled with Red Care Security and has 24 hour internal and external passive cctv, viewable from remote stations – any movement or intruders cause the alarm to go off. Cleardata provides confidential disposal for documents. 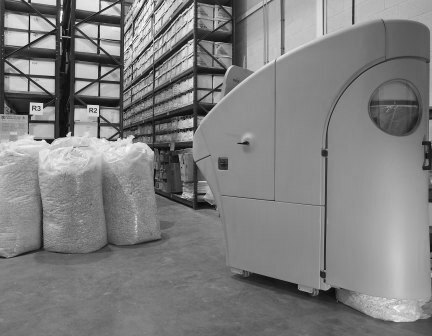 The company owns an industrial shredder which can dispose of your documents securely. Cleardata (UK Digital Storage) can also arrange for your unwanted documents to be recycled or pulped, depending on the confidentiality of your documents. When scanned, documents can be found and retrieved quickly using a simple keyword search facility. Customers report that document scanning saves time and money in searching for particular personnel records or documents. It also helps to reduce costs for valuable office space. 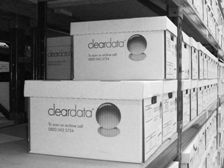 One client reported that they fitted an extra 8 workstations into their office, once all their old documents had been scanned and confidentially disposed of by Cleardata. “I no longer waste valuable time searching through my paper personnel files for employee information. Searching, retrieving and collating relevant information quickly is essential in serving our internal departments. The new system is simple and easy to use. We have cd’s with our personnel files and can use word search retrieval to instantly find all information and documents relevant to any particular employee. It enables me to digitally view any handwritten letters they may have sent, maternity forms, recruitment and selection documents and appraisal forms in one screen viewer." On investigating the needs and requirements of document retention for the HR and Personnel Industry, we found excellent advice from the CIPD. The CIPD provides a clear fact sheet for the Retention of Personnel and other related documentation. 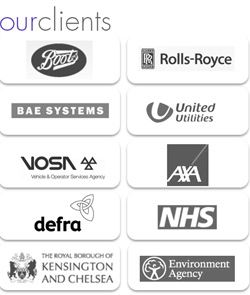 Follw this link to visit their fact sheet CIPD Factsheet for Retention of Personnel and other Related documents. Their advice provides a checklist of statutory and recommended retention periods for various classes of personnel documents and is based on legal requirements and good personnel practice.